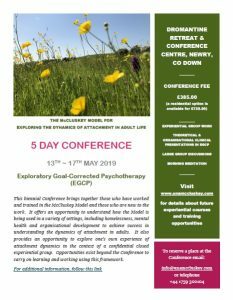 These papers are password protected but are available to those who have undertaken a two year training with Una in Exploratory Goal-Corrected Psychotherapy (EGCP). Each paper has been written or co-written by a member of the training cohort using aspects of Una’s training. Posted in Articles for Downloading (written by EGCP trained members) (password protected)	| Enter your password to view comments.